you just want to get a bit funky with the usual routine of shaving! For all these reasons (and several other unimaginable ones), here are a few solid alternatives to a shaving cream that give almost the same results. Perfect for those who wake up to find the shaving cream box or tube empty. 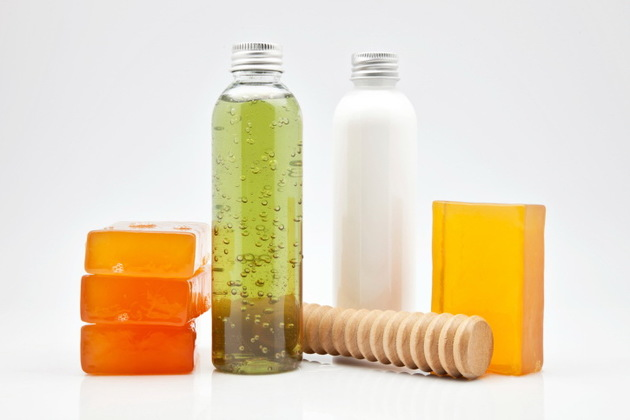 A regular bar of soap works quite well as an alternative, as most of the soaps present in the market today have some sort of lubricants in their composition. Another positive about soap is that it lasts longer than shaving cream. A glycerine soap makes for a great alternative and works great with even cheap razors. Remember to lather thoroughly though. They produce a lot of foam and are capable of pulling out the pollutants clasped to the skin. Just put a little amount in your hands and apply to the face. It works for women too, who want to shave their legs or want to wash off the make-up from their face without stinging the eyes. Perfect for those who nick or cut themselves frequently. Baby oils act as a protective layer and protects the face from irritation or cuts. What’s more, it also acts as a great lubricant and will keep your face well moisturized. Women can also use it while shaving their legs. However, the drawbacks of using a baby oil include the clogging of blades by the residual hair, and slightly more effort while shaving. Why not?! A lotion has every property of a shaving cream and, even possesses likeable fragrances and excellent moisturizing properties. In fact, in many cases, it has been found to work better than a shaving cream! Because of their inherent property of smoothing the hair, hair conditioners tend to alter the texture of facial hair and soften them. This makes cutting the hair fairly easy and smooth. All you have to do is put it in your hands and massage your face with it. Prepare to be astounded by the results! It offers a well hydrated skin and makes it supple enough, to make the shaving bump-free. Another plus, is the fact that coconut oil comes quite cheap. Although, you need to be a bit focused while shaving using coconut oil as it tends to make the skin slippery. It has been used in many a top quality shaving creams and soaps already. So, why not use it as a single product? Shea butter is an excellent moisturizer, and helps to lessen the shearing (pun intended) process. Using it also means that you can easily forgo using an after-shave lotion, as along with moisturizing the skin, Shea Butter also nourishes it thoroughly. Massage therapists have long used it to lubricate the skin while massaging. Being a very effective emollient, you can also use it while shaving. You can also substitute Olive oil for this, as it also exhibits similar properties. Also, if you have fresh almonds at home, you can simply make a paste out of them and apply it as a shaving cream! Almonds make your skin soft, shining and also act as a medicine to heal any cuts or nicks. Yep! PB has its other uses than being a (sumptuous) food! Although, you might need to thin it a bit by mixing it with water, in order to make it work like a shaving cream. Also, you might have to bear smelling of peanut butter for the next one or two days! Hehe. Well yes. Why not? After all, it is also a kind of soap. In fact, it works mainly because it has excellent lathering properties with low skin irritation. So, if ever you are in too much of a hurry, simply go to the kitchen and get done with the shaving using the dish washing liquid! Easy-peasy! There you are. All the possible alternatives to a shaving cream are presented for your consideration! All of these are safe and do deliver a certain degree of good shaving results. In fact, in some cases, the results are better than that with a shaving cream! Of course, if you cannot digest these slightly unusual options, there is always the safer and more common method of going for a dry shave (using electric razors and trimmers).